The user toolbar displays the options related to the configuration of the user account. Log Out Log Out from Veronte Pipe. 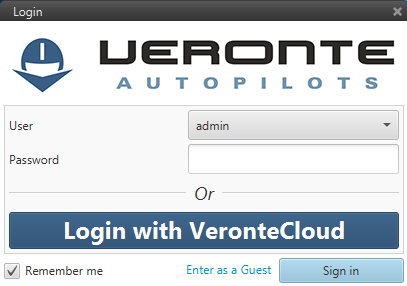 After the first use of Veronte Pipe, it is possible to change the username and the password. Moreover, Pipe gives the option of limiting the use that each user has over the software, what could be considered as a safety measure to limit the thing that can be changed for each person according to its knowledge over the different parameters. 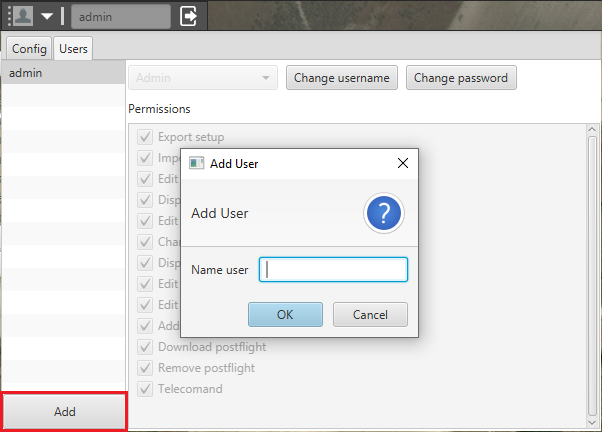 That is done trough the permissions, where the options that can be changed by the user can be selected. Indicates the option to change the username. This option is used to change the password. 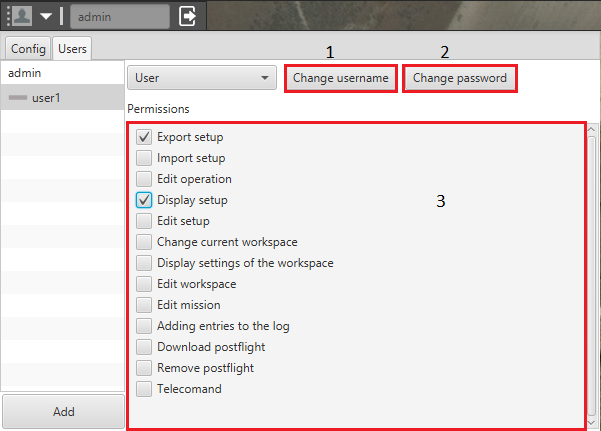 In this part are shown all the different actions that can be controlled by each user (permissions). Finally, in order to create a new user, clicking on the Add button highlighted in the next figure will open a window to introduce the new user information.